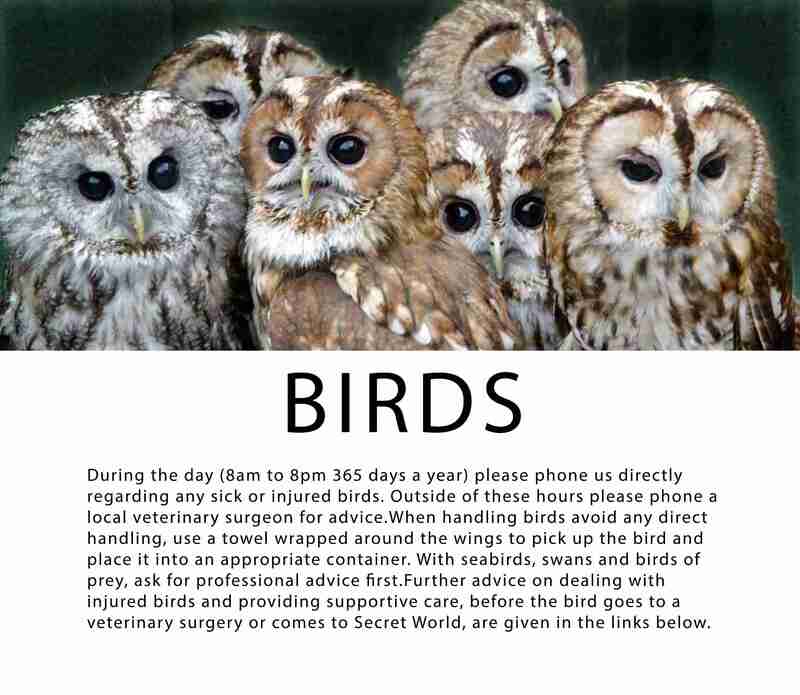 From 8am to 8pm 365 days a year we are here to offer help and advice on all types of wildlife casualties. 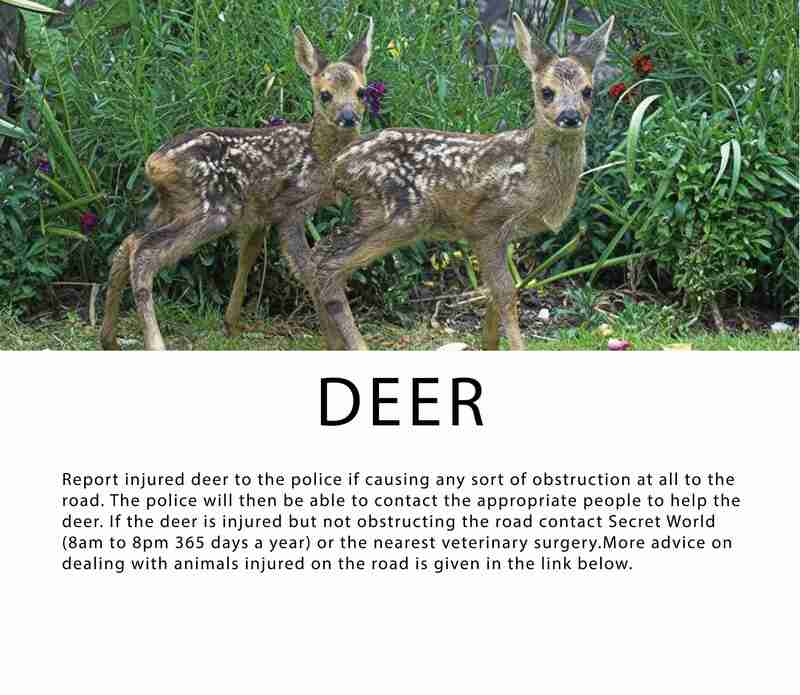 If we are not immediately available and you have a wild animal that is obviously sick or injured, then your first point of contact is your nearest veterinary surgery. 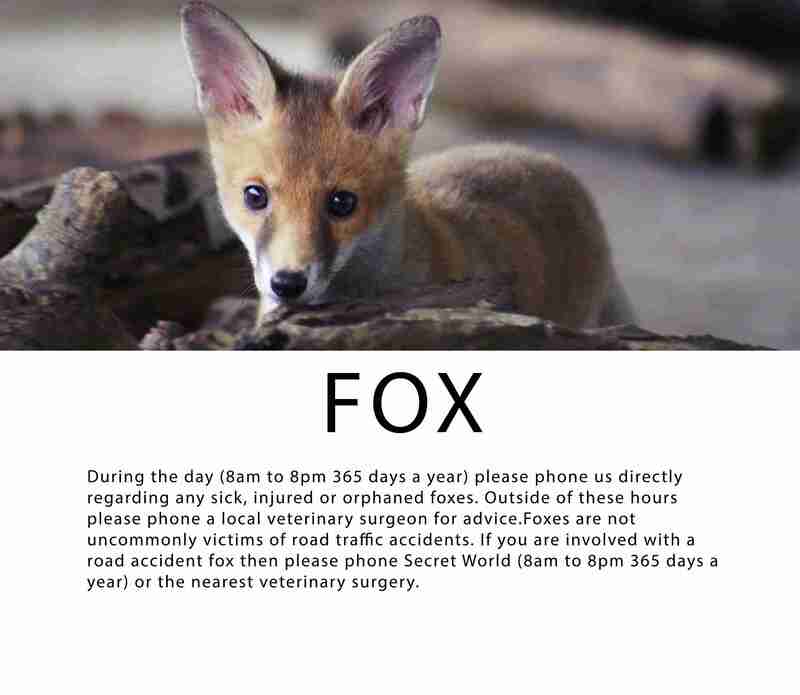 All veterinary surgeons are obliged by the Royal College of Veterinary Surgeons to provide 24-hour emergency cover, including the provision of emergency first aid and pain relief, to all animals regardless of species. A veterinary surgeon will be able to provide advice and emergency care, including where necessary euthanasia. Ideally phone the veterinary surgery first, rather than just turning up, so they can give appropriate advice and/or be prepared for your arrival. Secret World Wildlife Rescue works closely with veterinary surgeons in the south west, and across the country, providing training and advice. We also provide a full service for the ongoing treatment, rehabilitation and release of wildlife casualties and orphan animals after initial veterinary care. Veterinary practices can contact us directly in order to transfer animals into our care once they have received emergency treatment. I’ve found an injured bird – what do I do? Caring for wildlife obviously doesn’t just involve dealing with sick, injured or abandoned animals. There are lots of other things you can do to help wild animals in your local area and be a Wildlife Saver. How can I help the birds where I live? 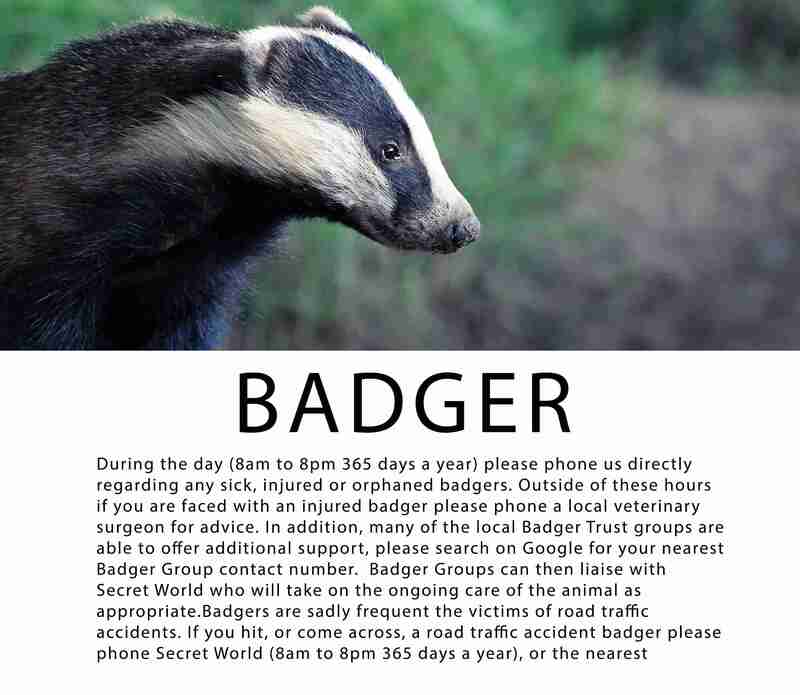 If you ever need further advice on what to do with a wild animal, give us a call. We have a great deal of experience in rescuing and caring for wildlife. 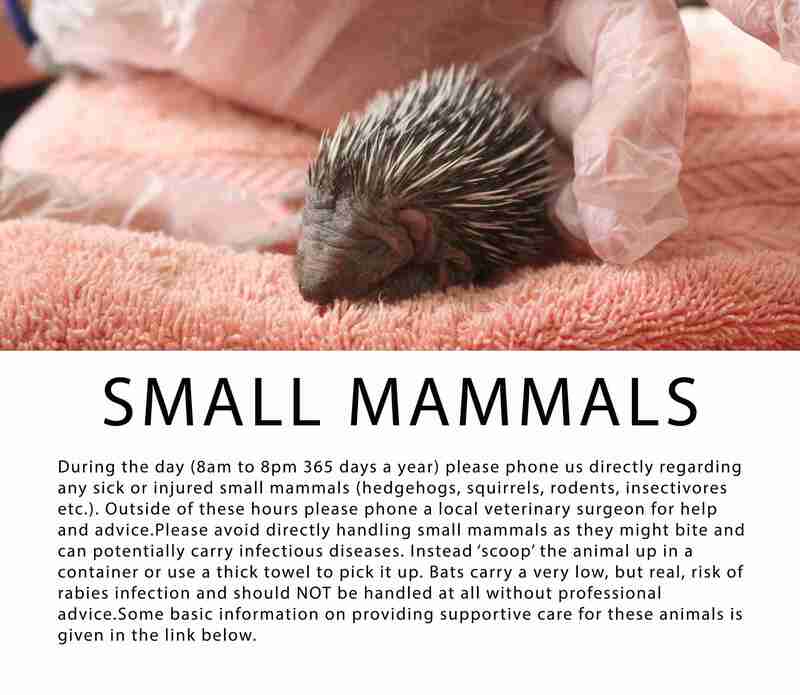 We offer a wildlife rescue service across the South West. You can speak to one of our response team on 01278 783 250 from 8am to 8pm 365 days a year.